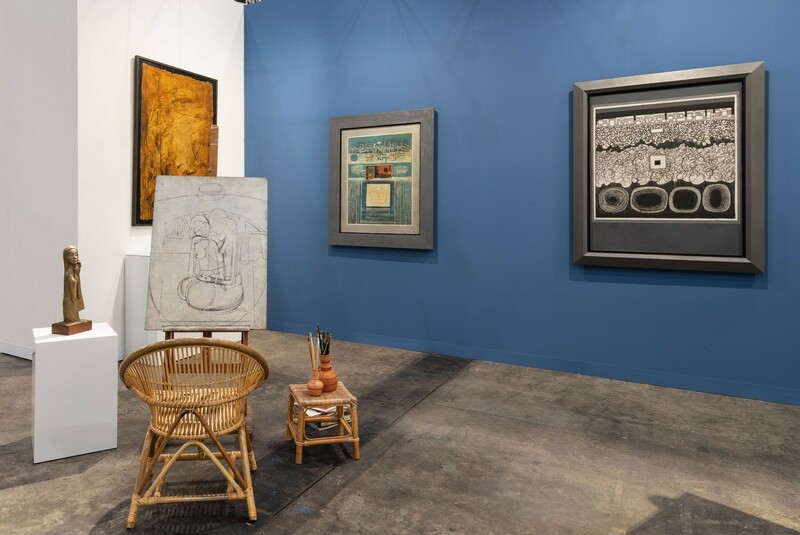 Asia Art Center presents In The Studio: Cheong Soo Pieng Between Abstraction and Figuration – an imaginary re-creation of the 1970s art studio of Cheong Soo Pieng, one of Asia’s most significant 20th-century artists. 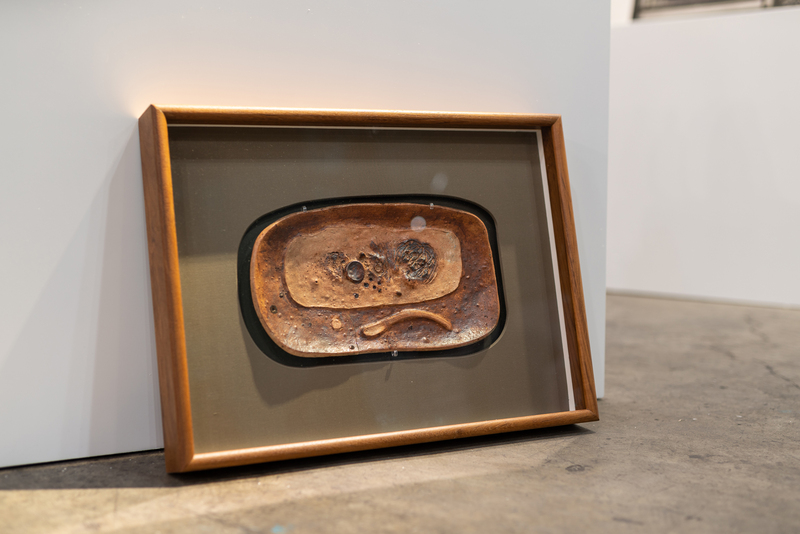 The artist’s 1970s oeuvre illustrates a modern artist at the prime of his career, ceaselessly experimenting and traversing an impressive breadth of styles and mediums with ease. 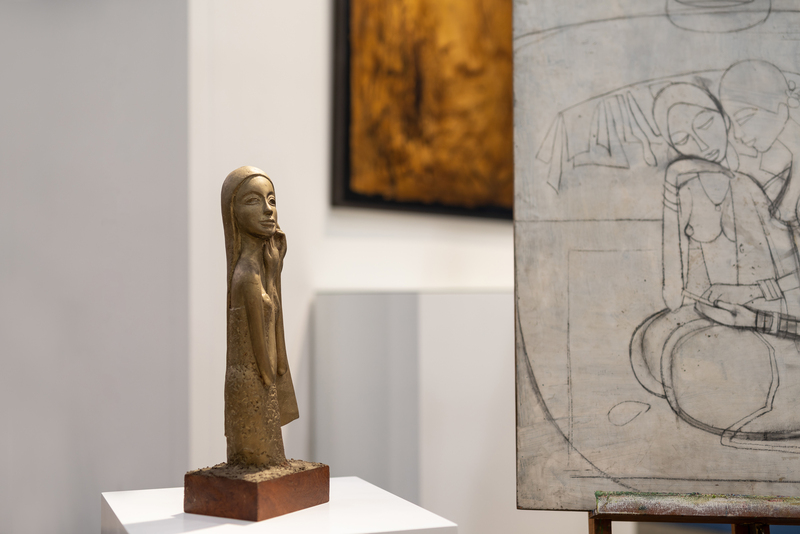 Working closely with the artist’s estate to showcase over a dozen of his sculptures, relief paintings and mixed media works, the booth will present intimate and illuminating connections between artworks, archive and the artistic legacy of Cheong Soo Pieng. Cheong Soo Pieng was born in 1917 in Xiamen, Fujian, China and passed away in 1983 in Singapore. The first wave of avant-garde artistic movements flourished in the 1930s, in cosmopolitan port cities in China like Shanghai. Cheong Soo Pieng was born of this generation, having studied at Xinhua Academy of Fine Art in Shanghai from 1936 to 1938. He left China in 1945, and came to Singapore in 1946. Alongside other émigré Chinese artists in Singapore, he was a proponent of a localised modern art movement termed Nanyang Style. 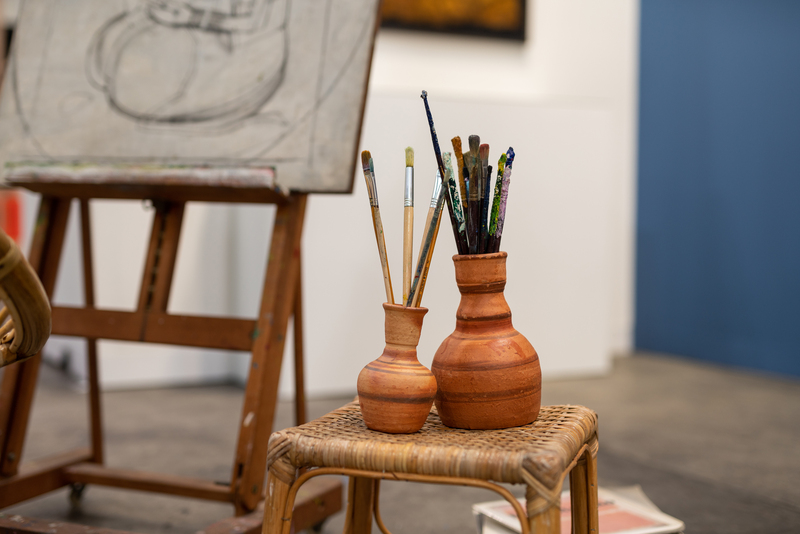 Throughout his life, he worked across varied mediums and styles. In addition to numerous solo and group exhibitions internationally during his lifetime, retrospective exhibitions of Cheong Soo Pieng were held at the National Museum Art Gallery, Singapore (1983), Singapore Art Musem, Singapore (2010) and Asia Art Center, Taiwan (2017). 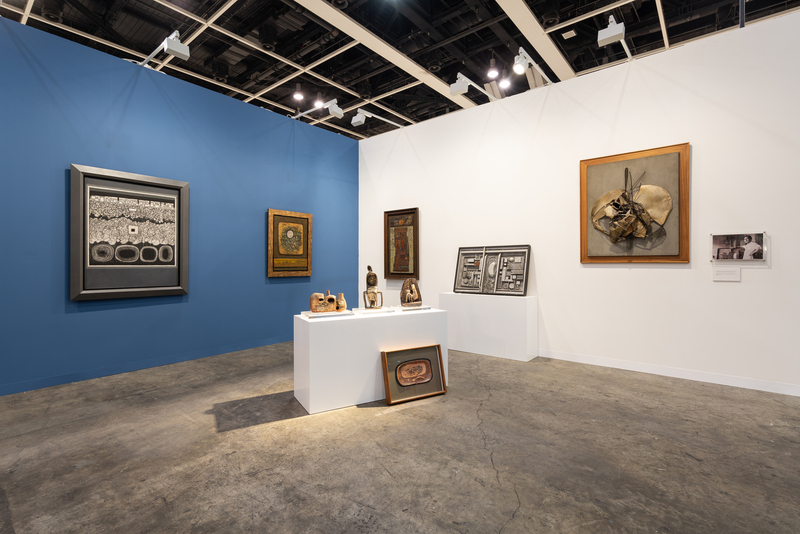 The Nanyang Style pioneered by Cheong Soo Pieng sought to “converge the cultures of East and West”, an echoing ideal that Asia Art Center has undertaken to rediscover artistic creativity with groundbreaking cultural impacts. 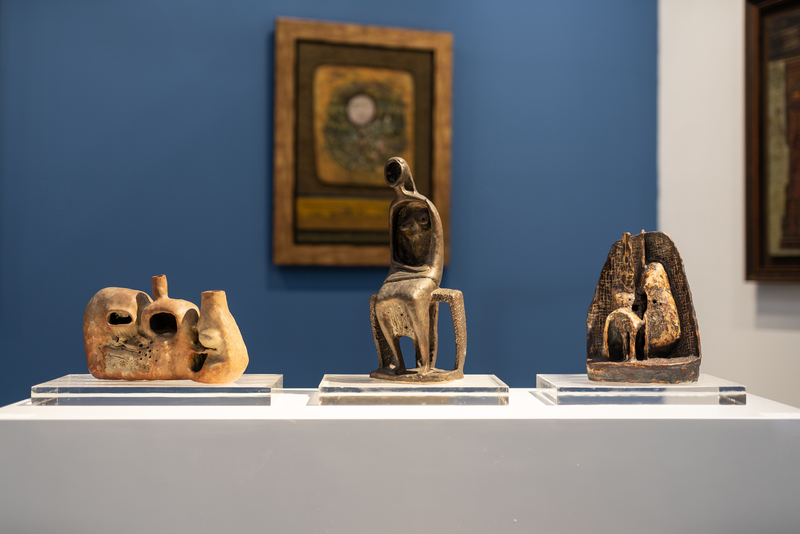 In recent years, our successive exhibitions on the iconic Fifth Moon Group and East Art Association have provided enticing glimpses into the development of modern art in Taiwan since the 1960s. Meanwhile, our scope of “Émigré Chinese” expanded further to encompass artists who were exiled or drifted away into distant memories, building an artist network that eventually traces back to the avant-garde artistic movements of the 1930s in China. Since then, the diaspora of Chinese artists has found homes in foreign grounds, and with the intake of exotic experiences, their new-found practices have propelled the vision of Chinese modern art into uncharted territories. Cheong Soo Pieng was born in Xiamen, Fujian, China in 1917. In 1935, he graduated from Xiamen Academy of Fine Arts. In 1936, he moved to Shanghai to study at Xinhua Academy of Fine Arts. In 1946, he moved to Singapore and taught art at Nanyang Academy of Fine Arts and Chinese High School. As one of the most significant of overseas Chinese artists active in the 20th century, Cheong Soo Pieng was a ceaseless innovator, never settling for an established style. He is famous for a wide-ranging repertoire of art styles and series, various mediums and invented a wide array of unique methods and expressions. It reflects his ability to reconfigure aspects of reality and present entirely new visual dimensions. 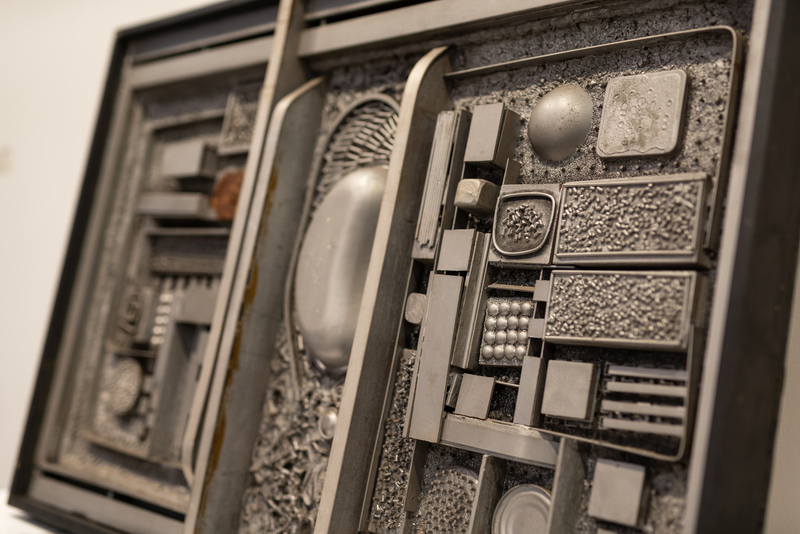 Through his innovations in style and subject matter, Cheong Soo Pieng demonstrated a creativity that proved far more advanced than most of his contemporaries. 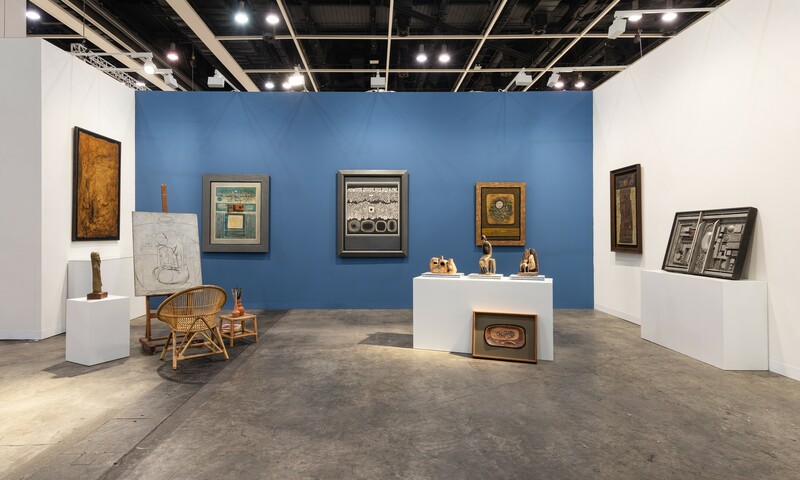 Cheong’s important group exhibitions include Four Artists to Bali at Singapore Art Society, Singapore, 1953; Malaysian Art Exhibition at National Art Gallery Kuala Lumpur, 1965. His important solo exhibitions include Twenty Years of His Art, National Art Gallery, Kuala Lumper, 1967; Cheong Soo Pieng Retrospective Exhibition at National Museum Art Gallery, Singapore, 1983; Bridging Worlds at Singapore Art Museum, Singapore, 2010. His recent exhibition is Cheong Soo Pieng: A Centenary Celebration in Taiwan, organized by Asia Art Center Taipei in 2017.